The movie production industry has evolved, and James Muigai commonly known as DJ Afro Kenya has not been left behind. Kenyan fans mainly watch DJ Afro movies, but he still has many fans in Swahili speaking countries such as Tanzania who find enjoyment in his films. Like many, his humble beginning began in Nakuru where he decided to put his passion for comedy into action. With his full DJ Afro movies, you will understand movies translation whether in Hindu or English into Swahili, Kikuyu, and other local languages. So without further ado let’s take a glance at some of the latest DJ Afro movies. 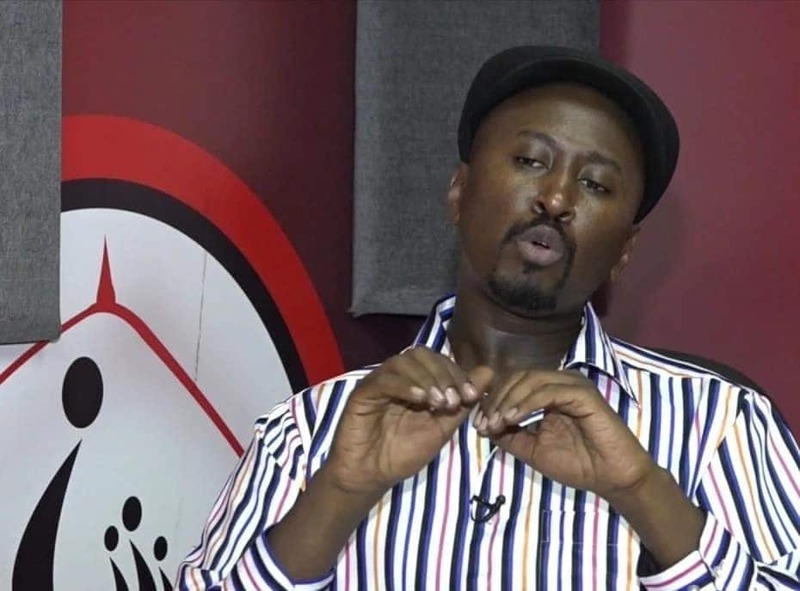 James Muigai aka DJ Afro had an intense passion for commentating, and since televisions were not widely used in Kenya some years back, his work was not as appreciated. Things have changed, DJ Afro is now commonly known in the country, and his movies are being aired in TV stations and also being sort by most people in the nation in platforms such as YouTube DJ Afro Movies. People have made a living from marketing his movies, and this has contributed to his popularity in the country. This comprehensive article has prepared for you some of the best latest DJ afro movies in 2018 that you can watch on YouTube and enjoy at the convenience of your homes. Action movies have a distinctive and exciting effect if done by DJ Afro. He defines each character, and you can know the protagonist and adversary at the beginning of the movie. The Rebel in this movie is an Indian action movie regarding a detective investigating a syndicate group. If gunfights and action entertain you, then you will admire this movie. It is touching a crystal that is magical. This crystal can do outrage and good in the world. It is hence being protected from those who need to use it for selfish gains. Andy Lau and Cynthia Roth rock star this movie. The famous film is well known for obtaining one of those ‘so bad it’s good’ films. What keeps the movie from total mediocrity is its high-octane martial arts exhibitions. Watching Indian films which are not translated and you have to keep reading and straining below the screen subtitles can be tedious and very annoying. DJ Afro eases this by describing the Indian film, and all you have to do is simply listen to him. He describes the effect very well to a point where you misremember it is a movie in another language. Mirchi is produced by Prabhas’s brother Pramod Uppalapati and V. Vamsi Krishna Reddy below UV Creations banner. It was initially named Vaaradhi before renaming to Mirchi. This movie starts in Italy with where Prabhas is training guitar when a girl (Manasa) runs over to him and requests him to save her from goons who were chasing her. Prabhas settles the conflict without fighting. They slowly become friends, but one day, Manasa asks him to leave her as she cannot stand the separation from him if their relationship progresses any further. Get the Afro copy of this movie to know what happened after. It is a cool movie under Indian action which has more than 100,000 views. This movie stars John Abraham who represents a cop who takes down a drug ring that later wants him dead. It also has a romantic aspect between John Abraham who plays as “Yashvardhan” and Genelia D’Souza who plays “Maya” that DJ Afro interestingly pictures for you. Badrinath is an Indian produced action movie which has both romance and action combined. It stars Allu Arjin “Badri” who is the protector of the Badrinath temple. Nevertheless, a dilemma is left to the master after Badri falls in love and only an unmarried man can guide the temple. To enjoy this marvellous movie, buy yourself one and find out more concerning the movie. There is undoubtedly no place like home, and DJ Afro returns us back to Nollywood as he translates this film. This film is top-rated in Africa which indicates that local talent is also one that stands out. Balupu is an action-packed movie by DJ Amigos which will fix you to your seat. It is an Indian movie casting Ravi Teja “Ravi” and Shruti Haasan “Shruti.” Get yourself a copy of this movie and feel the Indian influence with DJ Afro. DJ Afro Amingos movies are a real indication of Kenyan talent. This movie is extremely interesting, and its title is also eye-catching. If you like action movies then this is the one you should grasp from the movie shop. DJ Afro is pretty funny as we all know and this keeps the audience laughing. This movie is precisely the same, and so far it has had more than three hundred thousand views. This is an Indian produced movie that keeps the audience so happy. The Indian culture constantly stands out, and DJ Afro makes it better by commentating on the film. Everywhere in the movie, one can recognise the roles of different characters and genuinely enjoy the movie. The movies DJ Afro releases are solely a masterpiece. DJ afro amigos videos bring Hollywood to your living room by interpreting the American movies in the most fabulous way possible. He leaves your ribs crying for help after a big laugh. In this movie, Sean Wong is an International Defense Commission agent, and collectively with his team members, he moves to Jordan on a mission to accompany Kenner Osama, a scientist, who seized a copy of smallpox virus, to Norway. On their route, the convoy is ambushed by some assailants. Things get more difficult after it is realised later that Sean betrayed the team for his own gains. He shoots his partners and girlfriend (Ice) and then disappears with the virus. Get yourself this DJ amigos Viral Factor movie and put yourself entertained. It is an Indian film that is driven by romance. It is what presents Rama Rao “Daya” go to war after some gang kidnaps his girlfriend. Watch DJ afro “Temper “and get to know whether Rao liberates his girlfriend. It is a movie that is from Hong Kong casting Andy Lau who is to bring to justice terrorists who want to blow up some sections of the town and take people as hostages. This is a very astonishing Indian movie that DJ Afro has explained in Kiswahili, and also some bit of Kikuyu. The film has a touch of romance, action and also thrills in it. The film is favourable for those people who love diversity. So far, this movie has more than one hundred thousand views on YouTube. This film is one of DJ Afro Hindi movies. DJ Afro has shifted the perception of most Kenyans concerning entertainment. Before he commenced his works, fewer people could actually watch movies. Though, the DJ accommodates the literate and also the illiterate. Anyone can watch his movies and still appreciate. This means that he is slowly growing in terms of his popularity and even originality. DJ Afro understanding of describing movies may not be understood or adopted by many, but he still pursues and does what he loves. It is an important lesson to many young people postponing their dreams in the name of hiding from critique. DJ Afro is thus a star in the Kenyan movie business celebrated by many. The best latest movies DJ Afro has released have had quite a number of views. If you are looking for the DJ Afro movies free download, you can get them on YouTube and experience them on your phone or PC.